AirTAC Ningbo is located on a site of 237,334 square meters, with 19 standard workshops and an operation area of more than 100,000 square meters. In order to ensure to keep up with the automation developing trend and to provide the fastest response to customers’ requirements, AirTAC Ningbo is equipped with 600 top-notch equipments like automatic coil winding machine, precision automatic die-casting machine, presicion extrusion machine, forging machine, CNC machine, milling machine, turning and milling machine, four-axle CNC milling machine, injection machine, valcanizing machine, surface treatment, electro coating line, automatic painting line, sealing parts pressing machine, as well as 200 testing devices like projectors, direct-reading spectrometer, 3D measuring apparatus, salt spray testing machine, and 10 automatic processing lines. AirTAC Guangdong was established in Guangzhou as the first production base of the group, with a product line of 10 categories and hundreds of sorts such as solenoid valve, pneumatic valve, manual valve, hand lever valve, mechanical valve, throttling valve. 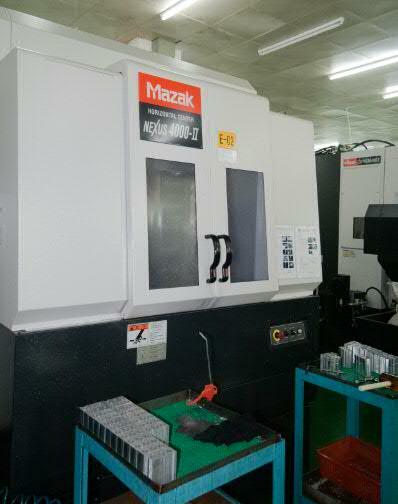 In addition, advanced milling machine, BO machine, lathes introduced from Japan and Taiwan and world-class automatic production lines ensure the quality of parts produced by AirTAC Guangdong. A new standard plant of AirTAC Guangdong will be established in Nanhai District, Foshan City, with a building area of 15,000 square meters, and expected to be completed in the first half of 2012.